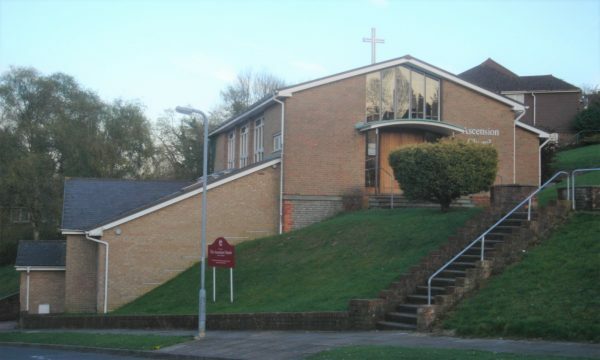 The church was built in 1958 to the design of J Wells-Thorpe, then of Gotch and Partners (ICBS). Though in itself a plain brick rectangle with a low-pitched roof, marked as a church only by a cross on the roof, its siting is ingenious. It stands on a slope, approached by steps from road-level that run up past a hall on that level. Chancel stalls etc: Designed by the architect (BE(E) p275). Communion table: J Cribb did the carving (ibid).